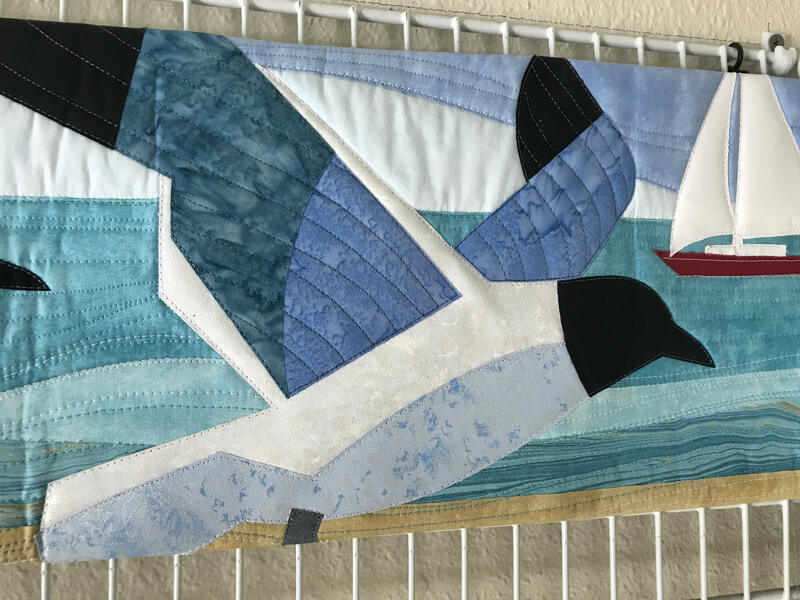 Row by Row Pattern for Alma Sue's Quilts in Sarasota, Florida features Seagulls flying over the ocean with a sailboat in the background. What a great depiction of our beach in Sarasota! Designed by Janine and Sam Ward. 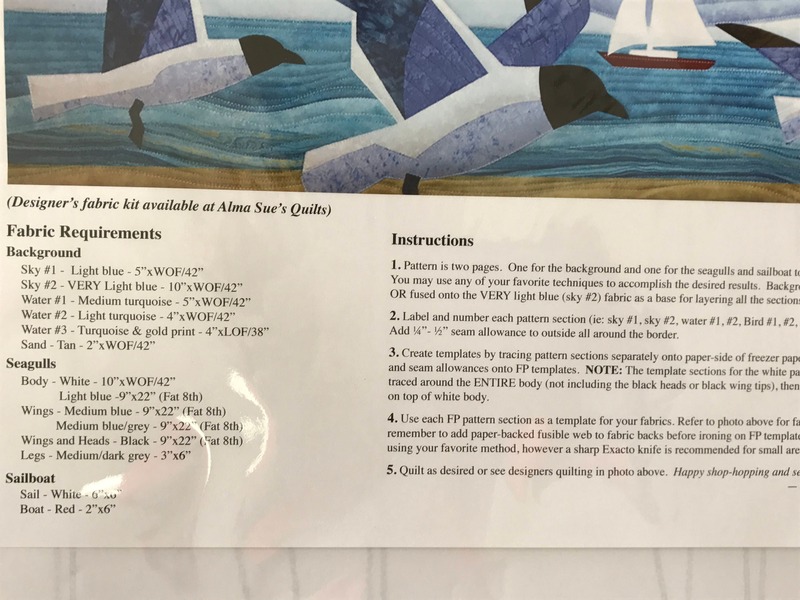 Pattern is two pages. You will need to applique' and fuse or piece. Pre Cut Quilt Kit also available on our website.